The destruction of Myspace blogs is akin to destroying Penn Station in 1963 – making way for the new by destroying the old. Both were abhorrent. 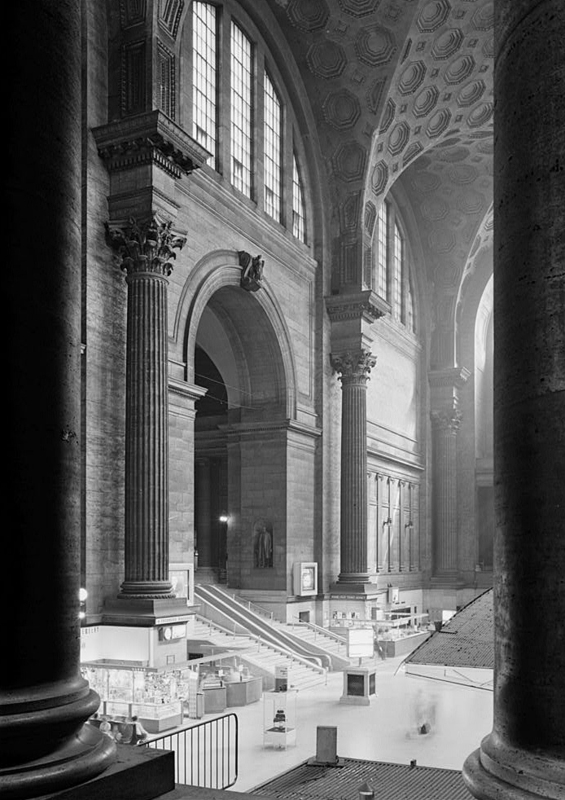 In 1963, despite community opposition, New York City’s Pennsylvania Station was torn down. It was an age of modernism, old being wiped away for new. Afterwards, some of the sails went out of that movement: there was renewed interest in architectural preservation, added hesitation when it came to the wholesale destruction of our past. Last week, a similar event happened. MySpace, in a rush to relaunch and rebrand itself, made inaccessible the blogs of all of its users. There could be no movement to preserve this record of the past, as it happened so suddenly. Millions of contributions, critical records of events of a decade or so ago, lost in the blink of an eye. It’s similar to the destruction of something like Penn station: a website that was run by user-generated content, that was a central hub of Internet traffic, and that meant something to multiple millions of people. Remember MySpace? Before Facebook, there was MySpace: the world’s most visited social media site between 2005 and 2008. Users created heavily customized pages – wags enjoyed making fun of the garishness of many of them, as opposed to the sterile and standardized world of Facebook – and it was a popular blogging platform. For many young people, only a few years ago, MySpace was the centre of their social world. So it was a shock when, without warning (even Yahoo! (no fan of history) gives warnings when they shut down their websites), MySpace decided to modernize their website and destroy those blogs along the way. MySpace is all about the new now: launching with a new cool, funky commercial by a cult photographer; focusing on streaming music and mobile applications; and blanketing television networks who have young audiences, from Comedy Central to MTV to ESPN. Let me say this again: MySpace destroyed history. “Oh, but who cares?” was one refrain out there in the swamp that can be Twitter. “If you wanted to keep your website, don’t rely on a free service, host your own!” (CBC comment)That’s just not good enough. Yes, free services aren’t really free: in some cases, you get what you pay for. _But_ there’s a historical obligation here. Think of the treasure trove of information that would be on something like Myspace. If you’re doing political history, I’m sure at least one major party leader in oh, about twenty years, is going to have some Myspace page where you can find out about their musical tastes. For social historians, it should be nearly pretty obvious – the wants, desires, fears, loves of millions of people from all over the socio-economic stratum. For cultural historians, oh, the music, movies, videos, poems, and so forth. For three years, this was the hub of the World Wide Web. And now it’s gone. Without warning, without being saved, all so they can serve you better. Let’s make this our wake up call. When the dust settled after the destruction of Pennsylvania Station, or any host of architectural marvels destroyed throughout the 1950s, 1960s, and 1970s, there was regret: regret about the slabs that replaced them, regret about the loss of history, about the places and spaces that meant something to somebody. When a website rebrands, destroying their past, it’s no different. The difference is that we can save this stuff. If it had been left up with some warning for a few months, the Internet Archive or Archive Team could have saved it. Storage is cheaper, as density doubles roughly every eleven months. They could have provided warning, backups behind this rebrand. It’s even less excusable than Penn Station. So let’s demand better stewardship of our collective works. Let’s care about this stuff, and, if you’re thinking about using Myspace (or if your kids, cousins, friends, etc. are) – think about demanding that they care about your data. Demand transparency, and recognize that nothing is ever truly free. Ian Milligan is an assistant professor of Canadian and digital history at the University of Waterloo.